The Mumbai collection designed by Nikki Chu provides global and modern spaces with easy versatility and inviting texture. 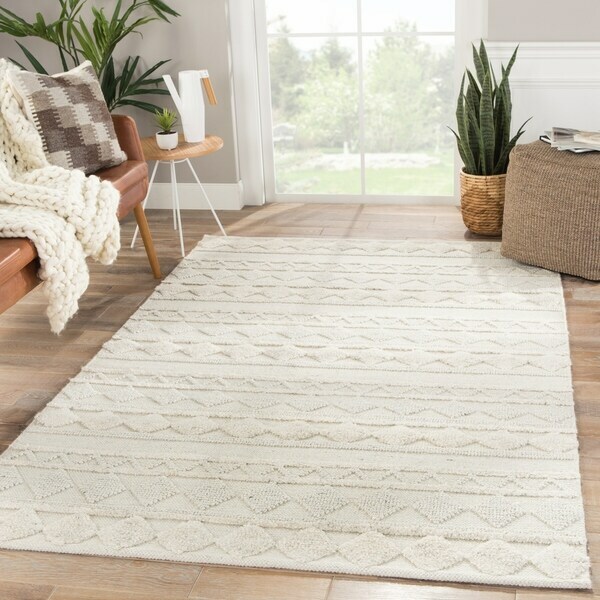 The Elixir area rug features a banded geometric design with a rich, high-low feel. A stunning blend of viscose and wool lends this ivory and light gray rug an authentic yet soft hand. Dimensions 144.0 In. X 106.0 In. X 0.6 In.